While marijuana was long the first drug of abuse for many drug initiates, prescription drugs are now catching up – but have deadlier consequences. The change in the overall pattern of substance abuse is reflected in the types of drugs causing overdose deaths and trips to rehab. Since 2000, the drugs sending people to their graves or to rehab have been shifting away from illicit drugs and toward prescription drugs. The 2011 report on the subject from the Centers for Disease Control and Prevention made it clear: prescription narcotic pain reliever overdose deaths now exceed the number of deaths from heroin and cocaine combined. For decades now, it has been usual that many young people looking for a drug to experiment with for the first time would choose marijuana. Others would rely on alcohol. They might progress to other drugs, although these drugs by themselves would result in a low level of fatalities. The Narconon Arrowhead drug rehabilitation program has recently uncovered a new pattern since prescription opiates have increasingly become the first drug used by many young people. This pattern is backed up by government surveyed results. According to Michael Botticelli, Director of the Massachusetts Bureau of Substance Abuse, prescription drugs now equal marijuana as entry-level drugs. Based on information found from clients that are helped through the Narconon program, young people who are on the hunt for prescription painkillers may remove some from a bottle in their own home or may visit the bathroom at a friend’s house and see what they can find there. Young people will also fake illnesses or injuries in an effort to get prescriptions, or even purchase them from friends or off the street once the addiction starts to take form. Hallmark adds that those addicted to prescriptions will often end up needing treatment or will even start taking illicit drugs. One of the most common examples of this is the connection between those addicted to painkillers that then start taking heroin. The Narconon Arrowhead treatment facility treats all types of prescription abuse problems as well as illicit drug issues and achieves a 76% success rate. 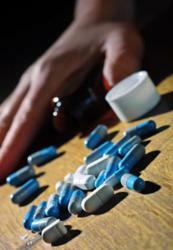 The addiction treatment program is completely drug-free and has been used for nearly 50 years. For more information on the newest gateway drug or to find help for a loved one call Narconon Arrowhead today at 1-800-468-6933.